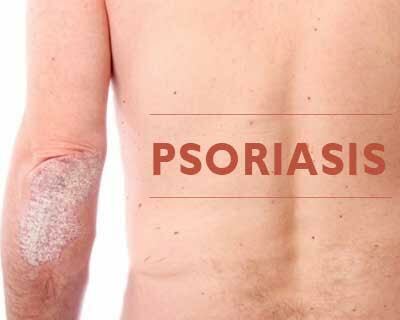 “A pathological and very complex autoimmune reaction of the skin”: This is the definition doctors and scientists use to describe psoriasis, a disease that affects one to three percent of the population. It is characterised by accelerated cell division in the upper dermal layers with proliferated skin cells and an inflammation of the skin beneath. Many different cells are involved in the complex processes: skin cells (keratinocytes) and cells of the immune system, among others T lymphocytes, macrophages, mast cells and others. Scientists from the Würzburg University Hospital have now focused on a cell type that has received little attention so far in connection with psoriasis: the so-called B lymphocytes. They were able to show that these cells are capable of influencing the skin disease by regulating the anti-inflammatory cytokine interleukin-10 (IL-10). So they are a potential target for new therapies for the disease which is incurable according to the present state of research. The scientists have now published their findings in the current issue of the journal Nature Communications. Key contributors to the study included Professor Matthias Goebeler, Director of the University Hospital and Outpatient Clinic for Dermatology, Venerology and Allergology Würzburg, and Edgar Serfling, active Senior Professor in the Department of Molecular Pathology at the Pathological Institute of the University of Würzburg, who had initiated the study. “It was crucial to find out that synthesis of the anti-inflammatory cytokine IL-10 by the B lymphocytes through the interaction with the protein “nuclear factor of activated T cells” (NFATc1), a transcription factor, was reduced,” Matthias Goebeler puts the study’s central result in a nutshell. NFATc1 inhibits reading of the IL-10 gene in B cells, ultimately resulting in poorer control of the inflammatory processes in the skin. “By uncovering more details about the interaction, we could develop drugs that suppress the inflammatory processes in psoriasis even more specifically in the future,” the scientists further.